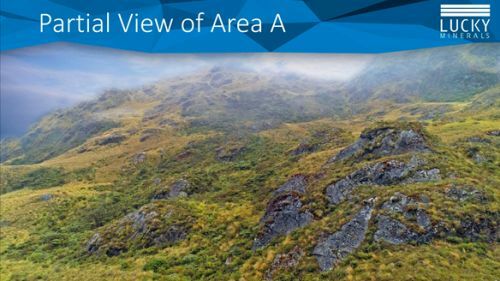 Vancouver, BC – (ACN Newswire) – Lucky Minerals Inc. (TSX.V: LKY) (OTCPK: LKMNF) (FRA: 8LM) (“Lucky” or the “Company”) is pleased to announce the results of a geological reconnaissance mapping survey conducted on its Fortuna Project located approximately 60 km south-east of Town of Cuenca, Ecuador. Prospecting and mapping were undertaken based on prior structural and enhanced alteration mapping studies using satellite imagery which were conducted in May/June 2018. Results from these studies led to the identification of 4 high prospectivity areas (A to D) covering 8 km2 in the Fortuna 3 concession. Preliminary assessment of these two porphyry systems using major elements calculations is confirming field observations with an extensive potassic signature enrichment including an outer shell of pyrite mineralization typical of phyllic alteration that has been traced for more than 300m. 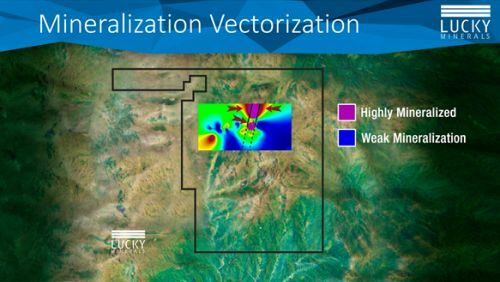 Lucky’s exploration team believes that these two porphyry systems may in fact form one single doughnut shaped body measuring approximately 2km in diameter. 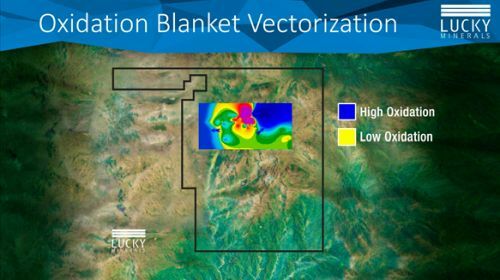 Lucky’s immediate next steps to advance exploration on the property will be an airborne magnetics combined with radiometry survey with 3D inversion, improving the existing dirt road and trails to an all-weather 14 km gravel road, to be followed by an aggressive grid-style comprehensive sampling program along the two identified porphyry systems on Fortuna 3 as well as regional prospecting on the 40 km major regional NNE structure and other major regional NNE trending structures observed on the property. This may be followed by a drilling program in 2019. 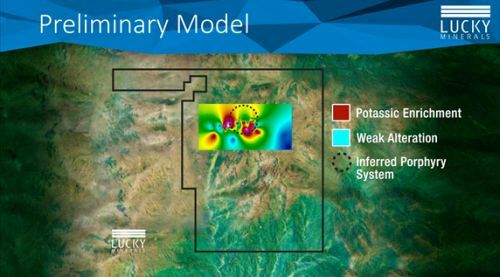 Fortuna 3 is one of 12 contiguous concessions which make up the Fortuna Property which has seen virtually no exploration and where considerable potential exists for finding significant porphyry and epithermal Cu-Au mineralization. It should be noted that no field work has been undertaken yet by Lucky and limited historical work was performed on the remaining 11 Fortuna concessions. Further information regarding can be found on SEDAR at www.SEDAR.com. This press release may contain forward-looking statements that are subject to known and unknown risks and uncertainties that could cause actual results to vary materially from targeted results. 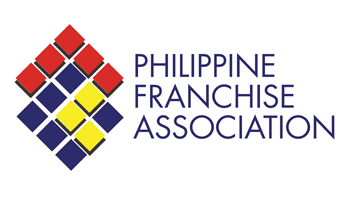 Such risks and uncertainties include those described in Lucky’s periodic reports including the annual report or in the filings made by Lucky from time to time with securities regulatory authorities.